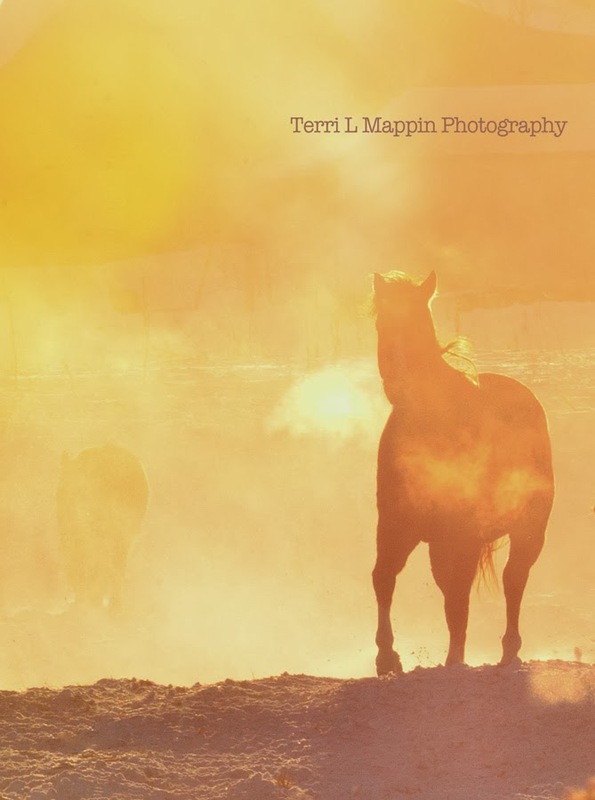 Terri Mappin Photography : My Equine Imps! Leave it to this crew to have a bit of fun, even in the cold!!! To say our horses like to wreak havoc in the home pasture once in awhile could be considered an 'understatement!' It's a good thing I adore their 'impish' personalities! so they have a bit of wild in them do they! They are certainly full of it at times Tammie! The boys are full brothers and the gals are half siblings to them! I think there is some sibling rivalry amongst them! LOL! 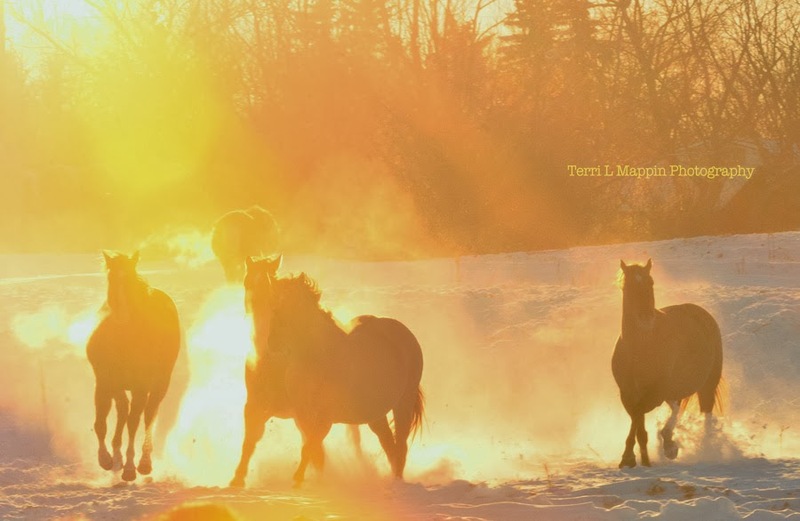 Love that back lighting, Terri. I just looked at your Picasa albumn -- you certainly captured the feeling of the prairie. It's such a contrast with the Canadian Rockies I'm more familiar with, but no less spectacular. Thank you so much for stopping by Don and Karen! The Canadian Rockies are indeed spectacular but my heart is definitely home in the prairies! I consider us Albertan's very fortunate to have both in our 'backyard!' The prairies have amazing beauty that we often dismiss. 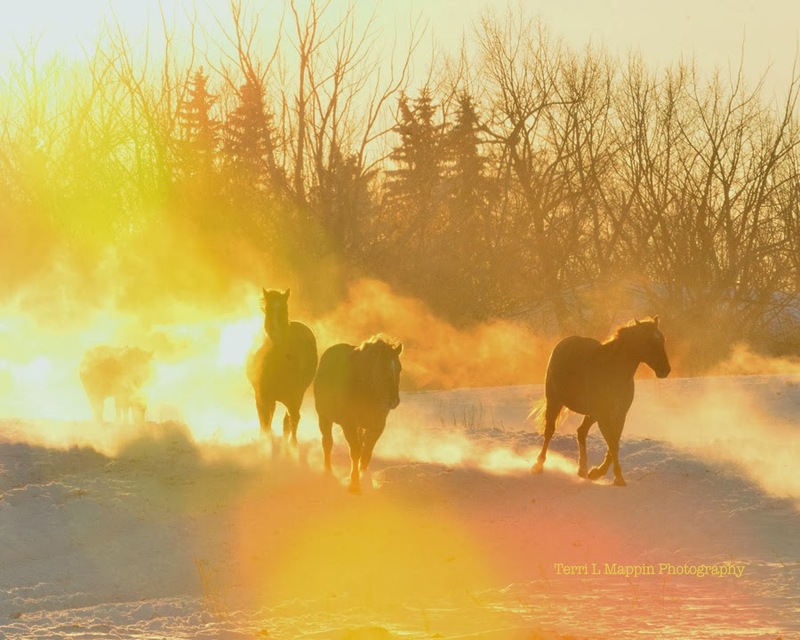 These photos would be great opening scene pictures for the television show Heartland! Awe ... thanks Renee! Heartland is one of our favourite family shows!